Sure, we’ve seen a whole trailer for the first Star Wars spinoff already, but there are far more rumours floating around the film (and its reshoots) than there is actual information at the moment. But that’s about to change. First of, yes, finally some official confirmation after months of rumours: Darth Vader is indeed in the film. As had been rumoured, his role is apparently quite large — Ben Mendehlson’s villainous Imperial is described as both “eager to earn the favour of the Emperor” and “avoid the wrath of his black-masked enforcer”. So it seems like Vader will be (loudly) breathing down Mendehlson’s neck for much of the film. This one was already leaked thanks to Mads Mikkelsen himself, but he is indeed playing Jyn Erso’s father. But now we know a little more about the character: he’s a scientist who’s work is wanted by both Empire and Alliance alike. 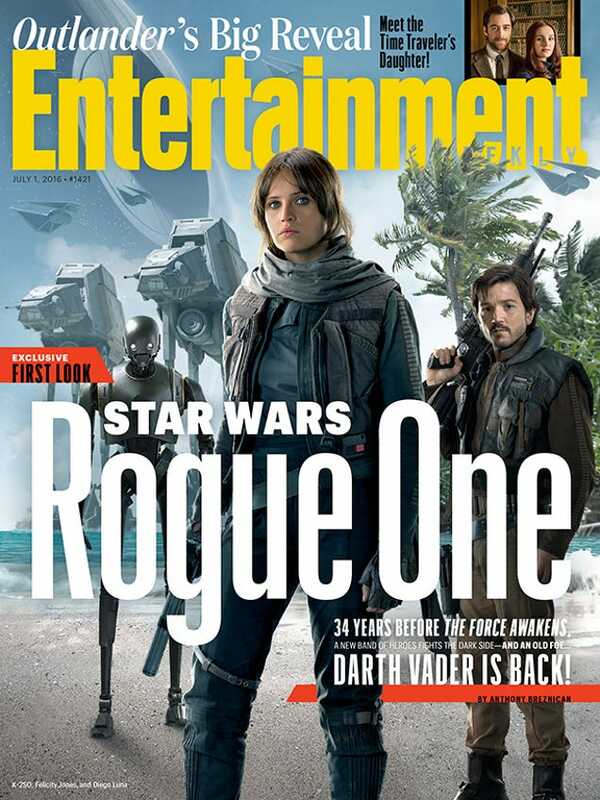 The cover of the magazine reveals both the new TIE Fighter, the TIE Striker that was recently leaked, and our best look yet at the droid played by Alan Tudyk through motion capture (you could briefly see him obscured in the trailer)—reportedly an Imperial droid co-opted by the Alliance. The magazine also promises “candid” details about the film’s upcoming reshoots, which have been the source of heated debate over the last month. Specifically, they will include what story elements these reshoots will be adding to the film. We’ll keep you posted.